Are you interested in starting a website for your business? If so, you’ll need to jump through a handful of hoops. First and foremost, you’ll need to select a domain name. Then, you’ll need to go ahead and select a hosting provider. They’re plentiful, but not all of them are equal. Eventually, you’ll need to establish a look and feel for your website. 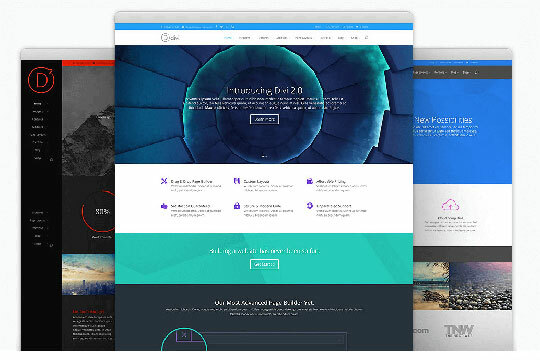 There are tons of WordPress themes and a lot of them are excellent for small business owners. Choosing the right theme can make a big difference in the long run. Within this guide, you will find a breakdown of some of the top WordPress themes for your business. While this theme’s name is a little cheesy, the theme itself is pretty amazing. It can be used to set up an entire website for your business. You can create about us pages, testimonials, and team pages in a few simple clicks. The built-in page builder will make your job so much easier. Just choose the website element that you want and position it on the page. The process couldn’t be quicker or easier. On top of that, the theme is completely mobile friendly. If you run a financial services business, this is the theme for you! It works exceptionally well and will set your business apart from the competition. The Magic theme is really versatile. Whether you’re an attorney and want to prove you know all there is know about the Bush-era bankruptcy law or you’re a doctor, the Magic theme will find a way to suit your needs. This theme really has no limitations. It offers complete and total customization. The theme works fluidly with a powerful drag-and-drop page builder. And, you’ll be able to benefit from twenty-five or more modules. Also, the TM Dashboard will give you peace of mind that isn’t available with the alternatives. This feature ensures that backups are automatically made, so your settings will never be lost. Whether you’re a newbie or you’ve been in the website development game for many years, you’ll absolutely love Divi. This specific theme is suitable for pretty much any business on the planet. It is totally flexible and innovative. It comes with tons of useful and convenient features. For instance, you can customize tons of widgets and you can use those widgets with shortcodes. 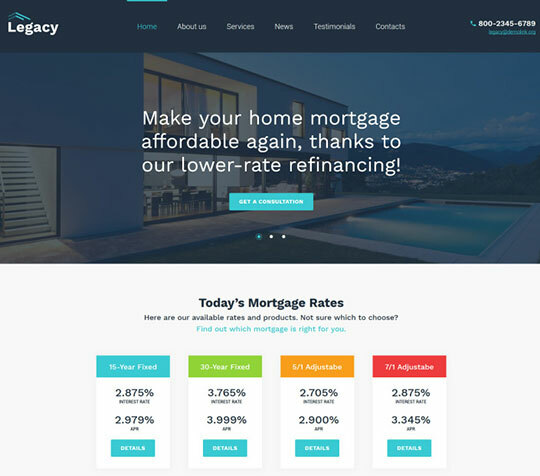 The theme also comes with tons of professionally designed page templates and layouts. Or, you can easily create your own. This theme is also SEO friendly, so you’ll have little to no trouble generating organic traffic to your website. No matter what industry you’re in, Divi is well worth checking out in greater detail. 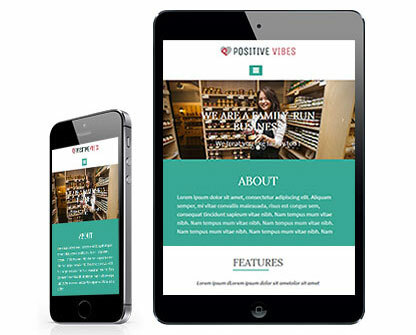 Positive Vibes is without a doubt one of the most versatile, clean, and professional WordPress themes available on the market. It really is no wonder why this theme is growing more and more popular. With its ability to adapt to small and large businesses, this theme is suitable for any business owner. Not only is this WordPress theme completely SEO friendly, but when you throw in its drop and drag elements, just about anyone can learn to master this theme. It also comes with a variety of stunning features like widgets, full-width sliders, skin color options, and tons more. However, the most impressive thing about the theme has got to be its unique ability to allow you to build an online store. If you want a totally professional business website, you need to check out Uncode. This specific theme is versatile enough to accommodate any industry or niche. 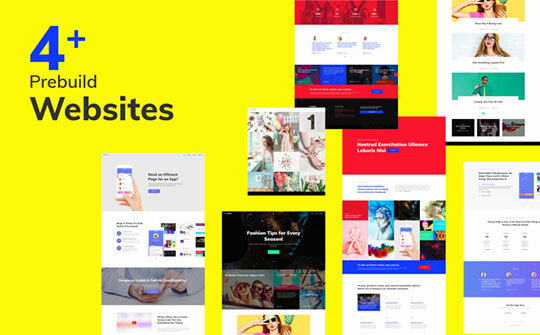 The theme is unique because it is capable of optimizing the performance of your pages. In return, this will ensure that your customers are able to get the most out of the website. The theme’s Visual Composer is also very impressive. This specific feature gives you the ability to completely customize the overall appearance of your site. 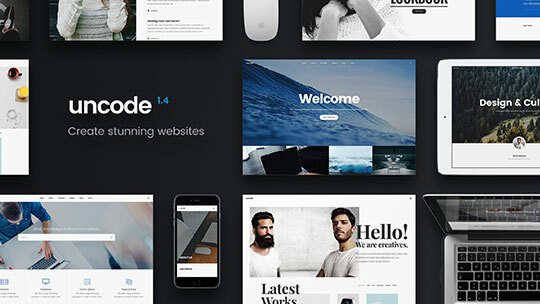 Even if you’re not a tech-savvy individual, you’ll have little to no trouble building a professional, beautiful and unique website with Uncode. Uncode also gives the business the ability to distribute their products directly from their business page. There really isn’t much you cannot achieve with this software. It is powerful, easy to use and innovative. My favorite WordPress theme its Kallyas, it has included an all-in-one solution for building a stunningly beautiful website!